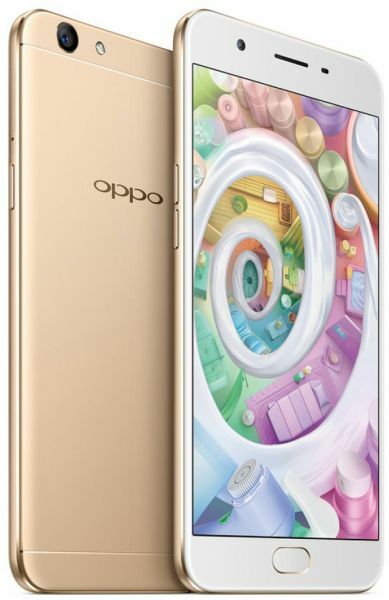 Oppo Selfie Expert F1S is preinstalled with an Android 5.1 based ColorOS 3.0. It enhances the performance of this Oppo F1S smartphone. In this photo obsessed age, the Oppo Selfie Expert F1S makes you a pro at capturing your memories digitally. This mobile exceeds expectations and wows you with its stunning and flawless captures everytime you pick it and go click. It features a revolutionary 16MP front camera with 1 by 3.1inch image sensor that takes astoundingly lifelike selfies in any lighting condition. You can remove blemishes, dark areas, and other flaws from your face to get a perfect close up click. Other advanced features of the front camera include filters, plugins, and selfie panorama. Not just selfies, this mobile with its 13MP rear camera can freeze your surroundings with breathtakingly clear and bright results. This mobile provides a seamless user experience with its interactive interface and fluid performance. It has a large 32GB ROM, which is expandable by up to 128GB. This Oppo Selfie Expert F1S has a large 5.5inch IPS TFT screen, which displays crisp, colorful, and detailed pictures at a resolution of 1280 x 720 pixels. The screen supports multi touch and is highly responsive. It also responds when you touch it with gloved or wet hands. The Oppo F1S smartphone delivers a speedy and smooth performance, which makes using it delightful. It runs on a 64 bit MT6750 Octa Core processor and 3GB RAM. The result of this combination is that your operations are always high on speed without the interruptions from lag. It has been loaded with ColorOS 3.0 that boasts of being one of the fastest operating systems while delivering a 40 percent longer battery life. It gives the phone a striking design, which also looks clean and is easy to customize. You have to use the Oppo 4G mobile to know what you’ve been missing out on. This unusual mobile features a selfie camera with higher resolution lenses than its rear camera. It has a 16MP front camera with an f/2.0 aperture. Say goodbye to the trouble of finding a good, bright spot to click clear pictures. Just be where you are and capture your moments in a flash with this stupendous built in camera. It brightens up your selfies, giving you startling details in low light or during night and daytime. Worried those freckles and pimples might ruin your close up shots? Use the Beautify 4.0 feature to remove all those flaws for perfect clicks. You can also add some fun and creative elements to your portraits with its number of plugins and filters. It also has an impressive selfie panorama feature, which lets you capture a large group of people in one frame with the simple rotating of the camera from side to side. It also has a 13MP rear camera that captures sharp, vibrant, and crystal clear pictures even in the night. the phone is very cheap and waste of money... better to buy another phone with slightly higher price range. Worst delivery. Received it 10 days after recommended date. Had to call customer care atleast 15 times and lodged complaint many times too. Even customer care couldn't keep up the word. Every time they were telling it will be delivered that day.